There are many different pieces of technology that are used during LASIK surgery. The technology used is dependent on the type of surgery involved, as well as the eye health of the individual patient. The surgery itself typically consists of three steps. In step one, a femtosecond laser is used to make a thin flap on the surface of the cornea. The flap is still attached to the cornea, but it is raised and laid back so the eye is ready for the LASIK procedure. The second step involves the surgeon performing either standard LASIK or Advanced Custom Wavefront LASIK. Both of these surgeries use an excimer laser to remove tissue from the middle layer of the cornea and reshape it. Lastly, the thin flap of corneal tissue is folded back into its original positron where it bonds after only a few minutes of drying. The excimer laser is the technology at the heart of LASIK eye surgery. These lasers have the ability to reshape the cornea and correct vision problems such as myopia or nearsightedness, hyperopia or farsightedness, and astigmatism, which includes both refractive errors. Excimer lasers have improved the safety and effectiveness of laser eye surgery, resulting in thousands of successful procedures every year. The excimer laser can “ablate” or remove microscopic tissues from the stromal layer, which is the underlying layer of the cornea. This tissue can be removed with a high degree of accuracy, without damaging any of the surrounding tissue. There are several different excimer lasers that may be used, and while choosing the right one for your procedure is important, the skill of your surgeon and whether you’re a suitable candidate are just as important. Excimer lasers project a cool beam of ultraviolet light at a very specific wavelength, which is typically 193 nanometers. This setting allows the cornea to be reshaped in such a way that the light rays will focus correctly on the retina to create the clearest vision possible. The excimer laser provides short, high-energy pulses of UV light that are so precise, it can remove as little as 0.25 microns of tissue at one time, which translates to 1/1000th of a millimeter. Excimer lasers flatten the cornea out to correct nearsightedness, make the cornea steeper to correct farsightedness, and smooth out an irregular cornea to correct astigmatism. When in use, information about your particular refractive error is programmed into a computer, and that computer controls the laser. The precise details and measurements are entered by your surgeon, so the laser can do its work flawlessly. Modern excimer lasers have eye-tracking systems that are automated to monitor eye movement and keep the beam on target throughout the entire surgery. 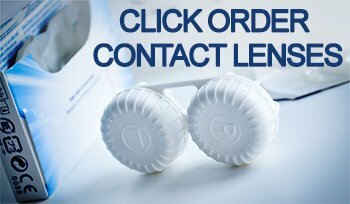 There are a handful of excimer lasers that are approved for use, each with a slightly different pattern to deliver the laser beam to the surface of the cornea. People respond differently to different lasers, which is why one laser may be great for one patient and not so great for another. These lasers use small 0.8 to 2 mm diameter laser beams that scan across the cornea to produce the treatment zone. They are also known as “flying spot” lasers, typically delivering the smoothest corneal treatments. Spot scanning lasers allow for customized treatments and are better at treating irregular astigmatism. These lasers use small beams that are linked to a rotational device with slit holes that enlarge as the laser scans across them during surgery. If an eye tracker is not used, or if the surgeon doesn’t have sufficient experience, slit scanning lasers may have a greater risk of decentration and overcorrection. 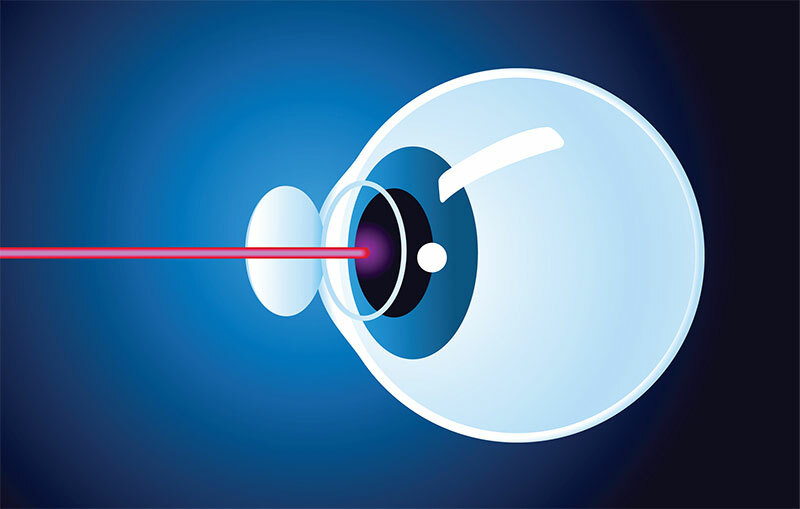 Whether the laser is a spot scanning or split scanning laser, it may be connected to a wavefront device that can map defects in the optical system of the eye. This mapping is based on how light travels through the eye, and it is completely unique to each patient. At Associates in Ophthalmology, we aim to make LASIK surgery as safe and effective as possible, thanks to the custom treatment that wavefront mapping and IntraLase allow. The IntraLase FS laser is a high precision tool that aids in the creation of the corneal flap. During the LASIK procedure, the IntraLase laser fires 15,000 pulses per second into the cornea, allowing the flap to be created at a depth and diameter suitable for each individual patient, as determined by our LASIK surgeon. With the increased accuracy that the IntraLase laser provides, our patients are less likely to need a follow-up procedure than patients who undergo LASIK with other technologies. Modern LASIK surgery only began being performed in 1992, but the technology may have begun much sooner. In the 1960s, an eye doctor named Jose Barraquer in Colombia was correcting vision issues with a technique called keratomileusis. He used an instrument called a microkeratome to shave a thin layer of corneal tissue. The layer or “cap” was removed from the eye, and then reshaped before being replaced. This procedure followed the same kind of principles that LASIK surgeons follow today. The excimer laser came along in the late 1970s, and while it was originally slated for the computer industry to etch computer chips, savvy eye surgeons soon discovered how this precise laser could benefit their own work. After much trial and error, a new technique known as PRK, or Photorefractive Keratectomy was born. Early in the 1990s, eye surgeons from Greece and Italy combined keratomileusis and PRK to create the basic concept of LASIK surgery. Today, LASIK is known around the world as the premier laser vision correction method, and as the technology continues to grow, it will only get better. If you’re ready to experience the life changing benefits of LASIK, book your free LASIK consultation today!